Anthony Tran, OD, MBA, FAAO is a board-certified Diplomate of the American Board of Optometry. He earned his Bachelor of Arts degree in Biology from the University of Texas at Austin and his Doctor of Optometry degree from the University of Houston. Dr. Tran went on to complete a post-graduate residency program in ocular disease at the San Francisco VA Medical Center in affiliation with the University of California Berkeley. Following residency, he joined a leading ophthalmology practice in Dallas where he specialized in cataract and vision correction surgery co-management and the treatment of eye disease. Always seeking new ways to expand the care for his patients, Dr. Tran founded CustomEyes Vision Care, which has among its many service offerings a dedicated center for the treatment of dry eyes. As an optometric glaucoma specialist, Dr. Tran also has extensive experience in the evaluation and treatment of glaucoma. Actively involved in his profession, Dr. Tran has served as president of the Dallas County Optometric Society and has held numerous board committee positions in the Texas Optometric Association. He is a Fellow of the American Academy of Optometry and an active member of the American Optometric Association and the Optometric Council of Refractive Technology. He has authored several publications and clinical research papers and lectures on a variety of topics, including vision correction surgery and ocular disease. 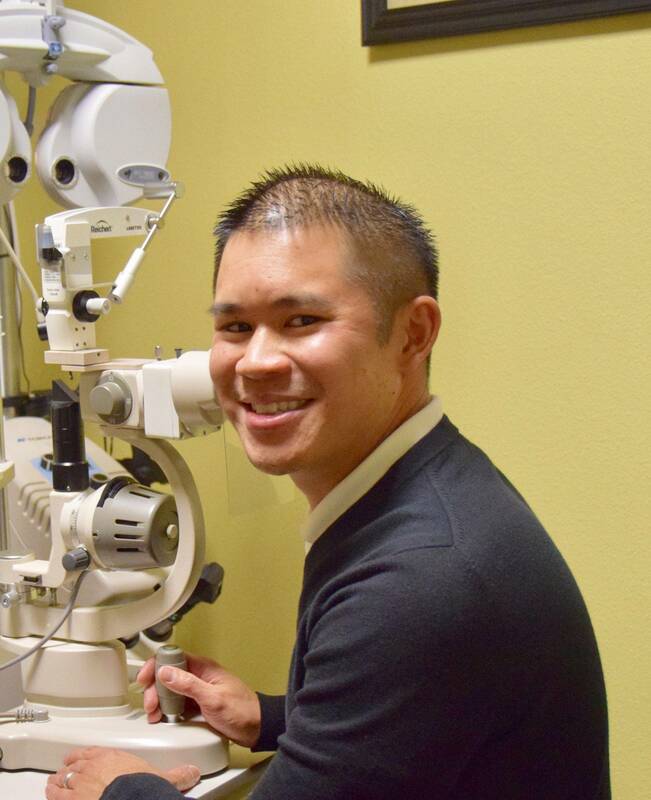 In recognition of his work, Dr. Tran’s most recent honors include “Best Optometrist” of the Best Southwest area, “Young Optometrist of the Year” by the Texas Optometric Association and “The Spirit of Entrepreneurship” award by the University of Dallas College of Business. Dr. Tran also believes in giving back to the community. He has served on the Board of Directors for the Cedar Hill Chamber of Commerce, and provides vision screenings for the Lions Club and no-cost eye exams and glasses for a prisoner outreach program. In his spare time, he enjoys spending time with his family, playing golf, and watching football. Always seeking new ways to make the practice better, Dr. Tran also completed an MBA degree from the University of Dallas Graduate School of Management.